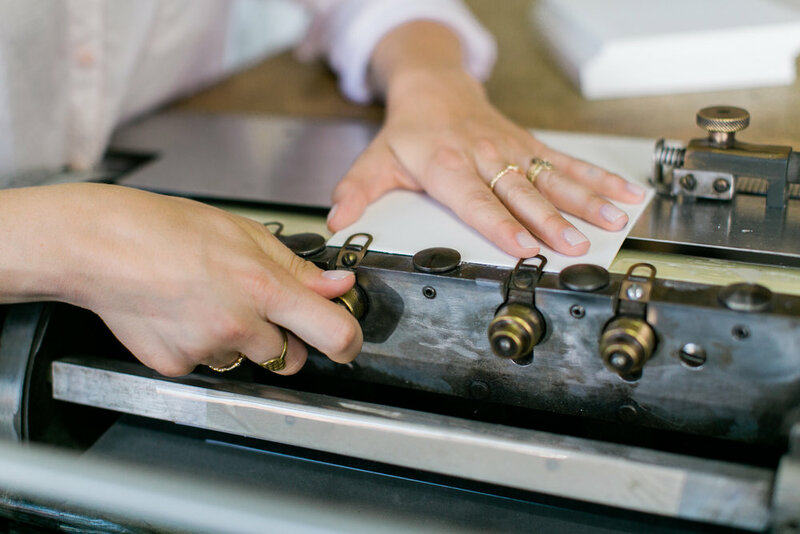 About Letterpress — Swell Press Paper Co.
Letterpress printing is a centuries-old artisan printing method that requires precision and dedication. 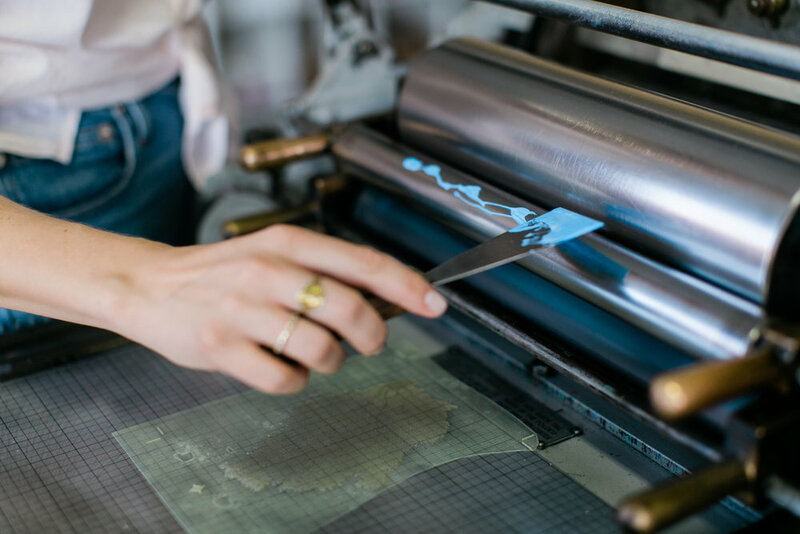 Traditionally, letterpress was limited to wooden or metal type, but modern letterpress has evolved to allow the use of polymer plates allowing greater freedom in letterpress capabilities. 1. Designs are created into polymer plates. These plates are created by exposing a reverse negative of the design atop a UV sensitive polymer. The result is almost like a stamp, where each design and / or color to be printed has its own plate. 2. The letterpress plates are adhered to a base that is locked into place on the letterpress machine*. The plate is lined up perfectly, using the grid on the base and the registration guides on the machine, and then meticulously measured to make sure the design will print perfectly straight. *In our studio, we print most of our work on one of our two Vandercook presses, or our Kluge. 4. 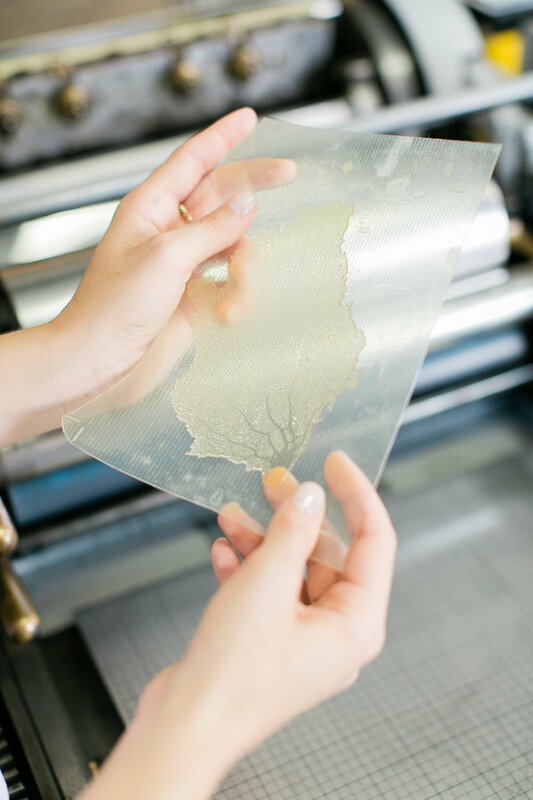 Cotton paper that has been specially trimmed to size for the project is hand fed through the press, one sheet at a time. 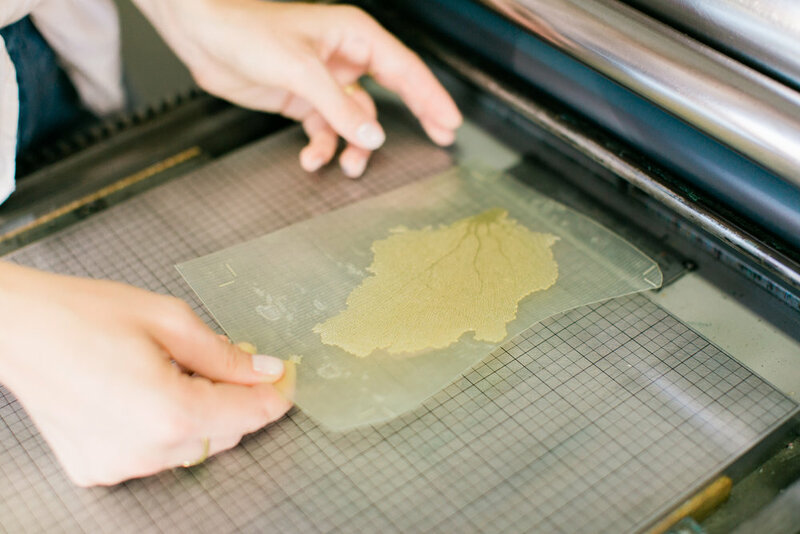 Careful attention is paid to various factors throughout the printing process such as alignment, impression, ink coverage, and color consistency. 5. After printing, the paper is carefully trimmed to final size.